William Hill Poker is one of the oldest European poker rooms. It was opened in 2002 and six years later become a part of the iPoker Network. 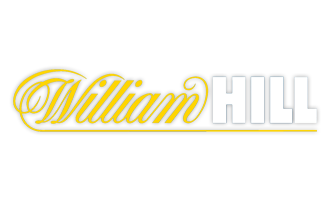 William hill belongs to the famous British bookmaker WHG Ltd. This company has been operating in the gaming market since 1934 and in the online gambling industry since 1998. That implies a huge experience of attraction players and the providing them with the best service. Reliability, safety, fast and seamless withdrawals are the main advantages of this room. The lobby is easy to navigate, and you can sort the tables by the format of the game, as well as the stakes and currency. In addition to that, you can use a set of advanced filters to quickly find the game to your liking. By default, the poker-room offers the auto-rebuy and auto-timebank functions, as well as other options, so necessary for comfortable multi-tabling. The bet-slider, themes and layouts of the table can be easily customized to meet your individual needs. The tables look nice and thanks to various options they are so well-adapted for multi-tablers. The "Join Similar" button allows for instant opening new tables of similar game or stake. The room also offers a function of going sit-out at one or all the tables immediately or before the next BB by just pressing one button. An additional tool for positioning the tables makes multi-tabling highly pleasant and comfortable. William Hill supports Holdem Manager and PokerTracker by default. William Hill, being the flag room of the network, is definitely worth your attention. The room offers top-level service and, combined with WPD promotions, ensures a high flow of cashback. Contact us to learn the details of the WorldPokerDeals offer for William Hill Poker.